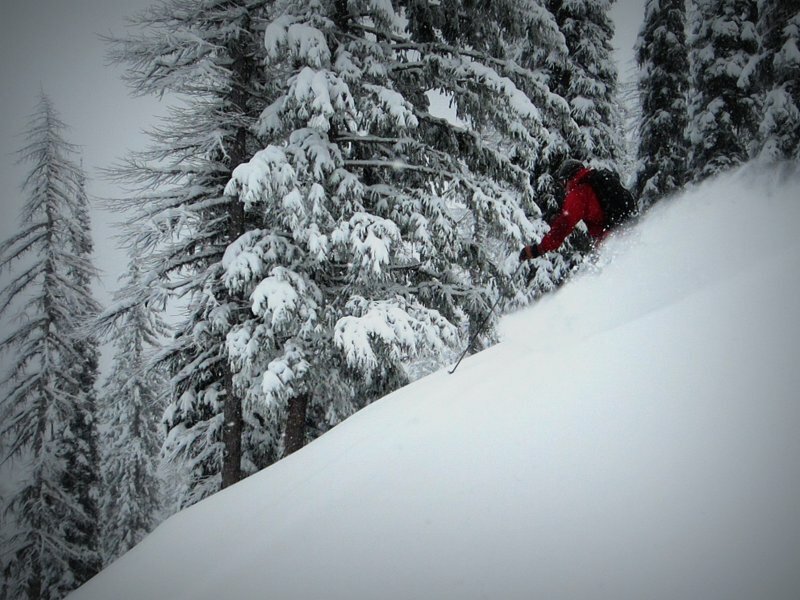 Just back from a Fall of travel in time for some early season powder skiing. The local mountains have had 30cm of new snow in past couple of days, and I’ve been out for a couple of short tours on the ski hill. There’s about 50cm or so of very supportive crust covering up the rocks and assorted obstacles about as well as 50cm of snow can, with the new medium density snow on top providing enough float and speed control for fun and easy turns. It’s still thin and bushy, so I imagine significantly more snow will be required for the mountain to open. Unfortunately there’s nothing in the forecast. I’m just happy to be skiing. I didn’t make the cut for first ski of the year eh? Sweet Stew! Planning on getting some with you this season.